Gorky Park’s administration have cancelled a day-long event for emerging journalists and photojournalists organised by Moscow-based daily news site Yod due to journalist Oleg Kashin’s involvement in the programme. The event, which was due to take place at the park’s outdoor cinema on 28 June, was to consist of talks and masterclasses, including a lecture by Kashin. “It is not Oleg that we are concerned about but the public who may come to this lecture — reactionary, with provocation in mind,” said the park’s PR director Marina Li, who previously described Kashin as a “provocateur” and “somebody who should not be anywhere on the park’s territory,” Yod reported on Sunday. Kashin, a former reporter at Kommersant, made headlines after he was brutally attacked in 2010, an event that many linked to his coverage of anti-Kremlin movements. Journalists Kseniya Sobchak and editor-in-chief of Russian radio station Echo Moskvy Aleksei Venediktov, who were suggested by Yod to take Kashin’s place, were also declined by Li. 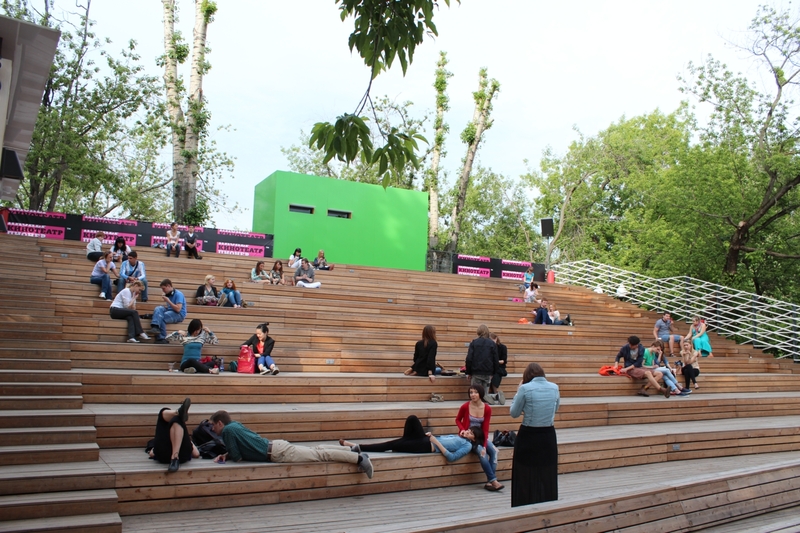 This is the second event in the last two weeks that Gorky Park has cancelled to deter unruly crowds. Earlier this month the park’s administrators refused to host a lecture on the Russian protest movement by political scientist Irina Soboleva entitled “Should we expect new protests in Russia?” The title was criticised by Li as being “somewhat inflammatory and controversial”, although the lecture was meant to be “educational” and “without a political agenda”, Soboleva told the BBC. Although Li has stated that “the park is not a part of politics nor about politics,” Gorky Park was actually the first place in Moscow to implement a designated protest zone, which was unveiled in 2013 and has been copied in Sokolniki Park, located in north-east Moscow. Yod's editor-in-chief, Stanislav Mudriy, has confirmed that the event will still go ahead on Sunday, however the new location has not yet been announced.